EFF dismisses intimidation claims from Gordhan - SABC News - Breaking news, special reports, world, business, sport coverage of all South African current events. Africa's news leader. Pravin Gordhan was Minister of Finance when EFF leader Julius Malema's properties were attached by the SARS in 2013. The Economic Freedom Fighter (EFF) rubbished Public Enterprises Minister, Pravin Gordhan’s claim that he is a victim of intimidation and harassment. 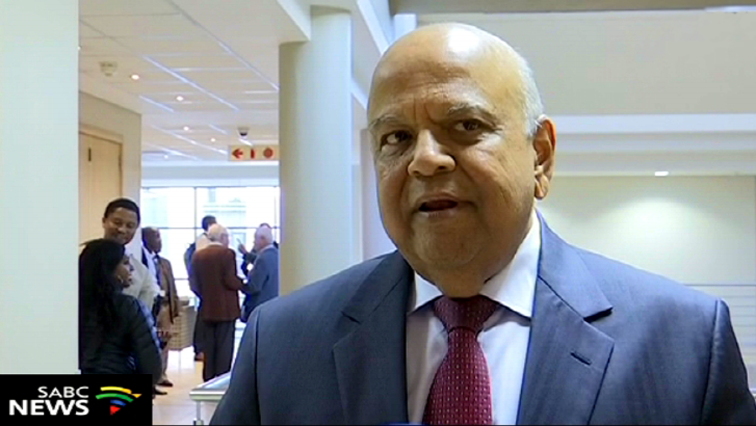 Gordhan says Public Protector Busisiswe Mkhwebane’s subpoena to answer questions on the early retirement package offered to former acting South African Revenue Service (SARS) Commissioner Ivan Pillay when Gordhan was Finance Minister is a reflection of the continuing misuse of public powers. He says this was witnessed at the height of state capture under former President Jacob Zuma. The EFF however has a scathing response to Gordhan’s version of events. The party says that the Enterprise Minister was an accomplice to the activities of the Guptas because as they say the family gained traction during his tenure as the Minister of Finance. The EFF’s hostility towards Gordhan is not new with them previously accusing him of running a parallel state capture network complete with alternative intelligence. Gordhan was Minister of Finance when EFF leader Julius Malema’s properties were attached by the SARS in 2013, but the party has insisted that its criticism of Gordhan is not motivated by bitterness. This entry was posted on 09 Nov 2018,05:44AM at 5:44 AM and is filed under Politics, News, Homepage Featured Story Slider. You can follow any responses to this entry through the RSS 2.0 feed. Both comments and pings are currently closed.